Many times I feel like I post things on my site too quickly and people don’t have a chance to find them. I like keeping up a high turnover on the site so there is something new hopefully almost every time a visitor comes to my site. Because of this I feel like some of my cards get overlooked. This card of Moose is from the Royals futures game on April 2nd 2011 at Kauffman Stadium. I attended the game an was likely more excited for it than any Royals game in a very long time. I made a complete set to commemorate the game. It is another original design, I will re-post several of these in the coming weeks. Royals top prospect Mike Moustakas got the call and will make his major league debut tonight in California. I have to be honest, I really thought that it would be September before Mike Moustakas and Eric Hosmer both were in the Kansas City lineup. I am happy, this adds excitement to the Royals who realistically haven’t been exciting for a very long time. 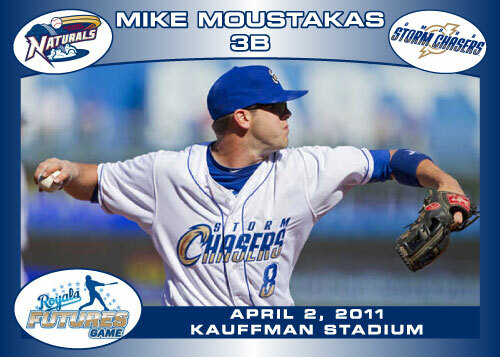 This card of Moustakas is from my spring training custom set. 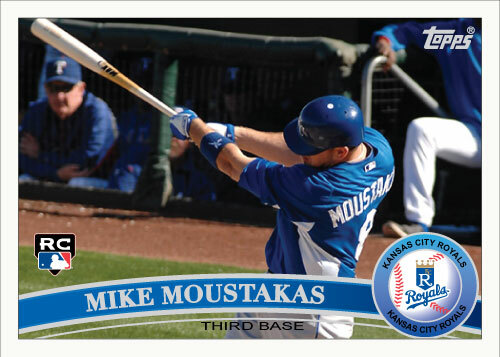 The call-up actually means that Mike Moustakas will have a real card in the Topps update set this year! That doesn’t come out until September-October but I can’t wait to try to pull a Hosmer or Moustakas rookie card out of the set. 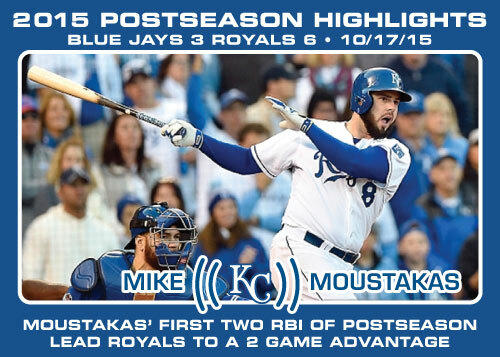 Everybody is throwing out predictions for Moustakas’ first game, here is mine: 1-3 2B, RBI, 1 BB, 1K.